Camp Business, sponsored by Drexel University’s LeBow College of Business, is an enriching summer program designed to give rising high school juniors and seniors an intensive introduction to both collegiate and corporate business education — and it shows them that business can be both fun and exciting. 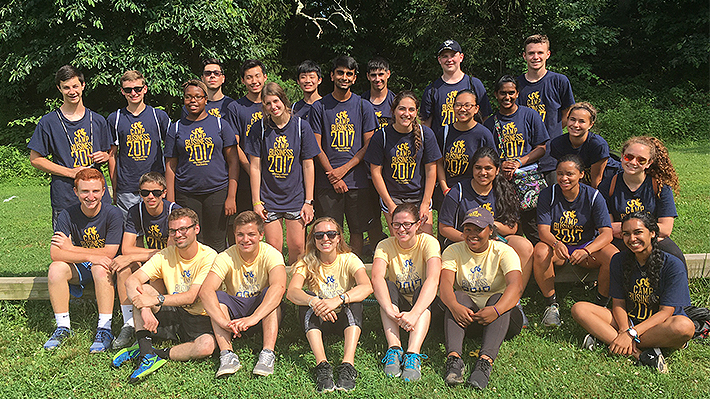 Camp Business participants gain great insight into college life by interacting with current students, faculty, and staff at Drexel’s LeBow College of Business. Campers learn the basics of major business disciplines including accounting, marketing, finance and management, and learn the core concepts of business including leadership, professional image, etiquette, team building, and strategy. Students also learn about resources essential to business such as the stock market, financial documents, and technology. Students will demonstrate their new-found knowledge of the various functional areas of business through a group business case competition that culminates in a presentation to a mock board of directors. Certificates of completion for all students and prizes for the winning teams are issued at the end of the program. Due to the team project, students must attend camp sessions for the full duration.